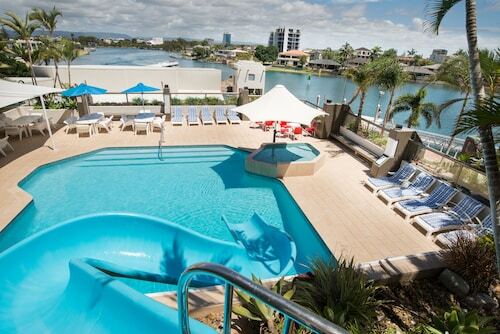 Save some cash on your Gold Coast holiday with a stay in laidback Runaway Bay. You’ll have a little extra money to spend on shopping, which is something this suburb does well with several major malls nearby. You’ll also find parklands, the Broadwater, a bunch of food and dining options, and fishing! Book your Runaway Bay hotel with us to do what the bay’s name suggests and get away from it all. Runaway Bay started off as an area of wetland near the Southport Broadwater, before real estate developer Neil McCowan purchased it in 1967. McCowan and advertising agent John Garnsey named the place Runaway Bay to promote it as a peaceful escape. These days, it’s a fancy residential area where nice homes sit on waterfront canals, and busy Surfers Paradise is only a 20 minute drive away. Runaway Bay Shopping Village is the closest place to spend your dollars, but if you want more options, there are heaps of other malls in the area: Harbour Town is only six minutes away by car and has brand direct outlets and a range of open-air shops – perfect for sunny day shopping. Australia Fair Shopping Centre is another good choice in Southport, as is the huge Pacific Fair in Broadbeach which has about 300 stores and a 12-screen cinema. Runaway Bay’s restaurants are diverse enough for you to find Thai, Italian and Indian cuisine all within driving distance of your hotel. Runaway Bay is where Marine Parade begins – this street trails the Gold Coast Broadwater all the way to Southport and has walking tracks and playgrounds for the kids. If fishing is your passion, Runaway Bay is one of the coast’s great areas to catch tonight’s meal. Set off on your own in the Broadwater or canals or make a day of it with a group fishing tour or charter. 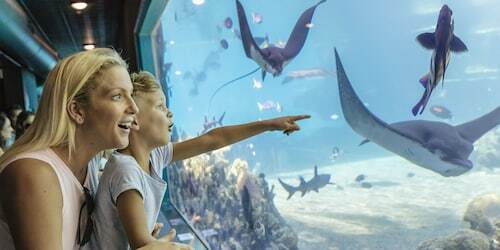 Book your Runaway Bay accommodation and a flight to the Gold Coast with us. No matter how you spend your time on the coast, from clubbing to theme parks, you’ll always have somewhere quiet and relaxed to come back to. How Much is a Hotel Room in Runaway Bay? 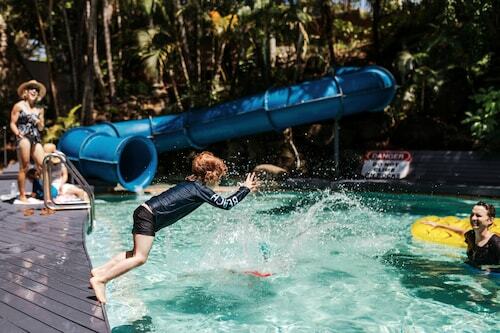 Hotels in Runaway Bay start at AU$132 per night. Prices and availability subject to change. Additional terms may apply.